Combine country music star and living room makeover. Penny for your thoughts? An olden home in a barn spruced up with some cowboy hats, a thorn-filled cactus, and perhaps a few stringed instruments. Hmm..let’s rewind a bit. There’s a much more modern, charming take on that picture. 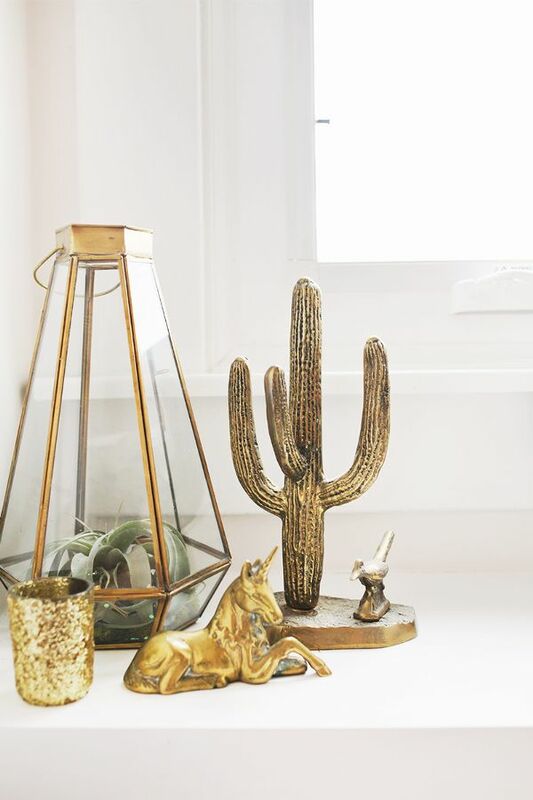 Think bright white with elegant brass and gold accents, small potted cacti, rustic wooden flooring and nature’s elements encompassing a lovely Western flair. 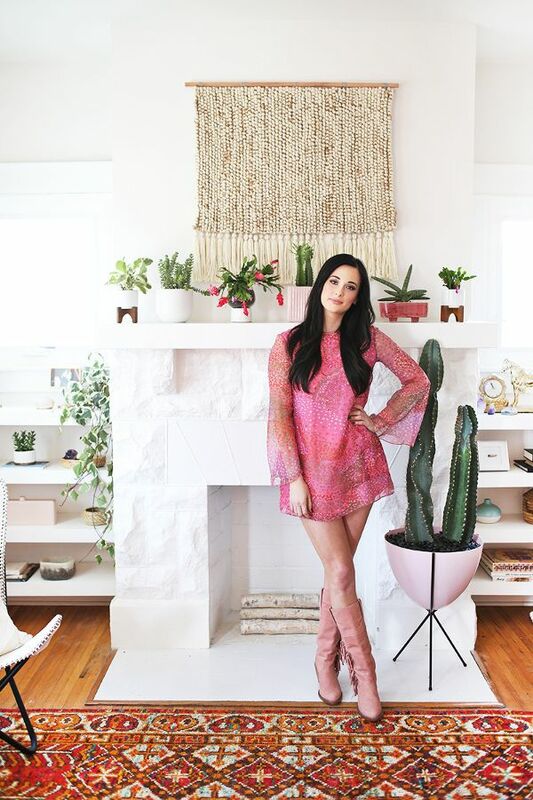 Elise Larson of A Beautiful Mess ventured excitedly with Kacey Musgraves, country singer-songwriter, in her living room project. 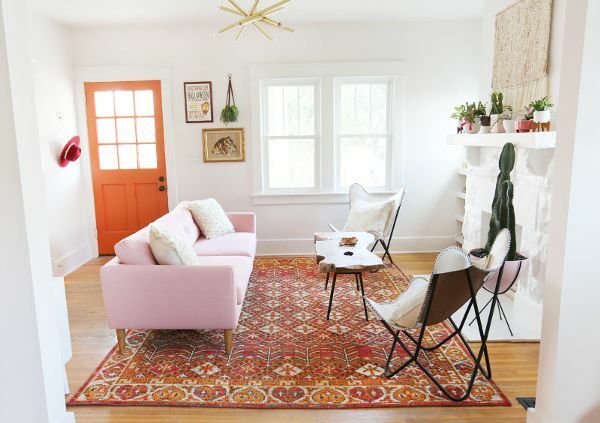 The two communicated through a private Pinterest board, sending each their own ideas, inspiration, and flea market finds. Together they came up with a remarkable fusion of the distinctive Nashville charm and chic ladylike adornments that perfectly suit the country star. Clean white walls, tall ceilings and windows create an overall pleasant environment. The door, built with a glass window, makes the place even brighter with natural light passing through. It arrives in the ideal orange hue, plain yet striking as it stands out in the whiteness of the space. Guess what’s next to the entryway? A cowboy hat, in dark pink of course! The Musgrave home invites you to a chic living room filled with warmth and coziness. Sitting on the adorable light pink sofa gives you a stunning view of the large whitewashed fireplace. 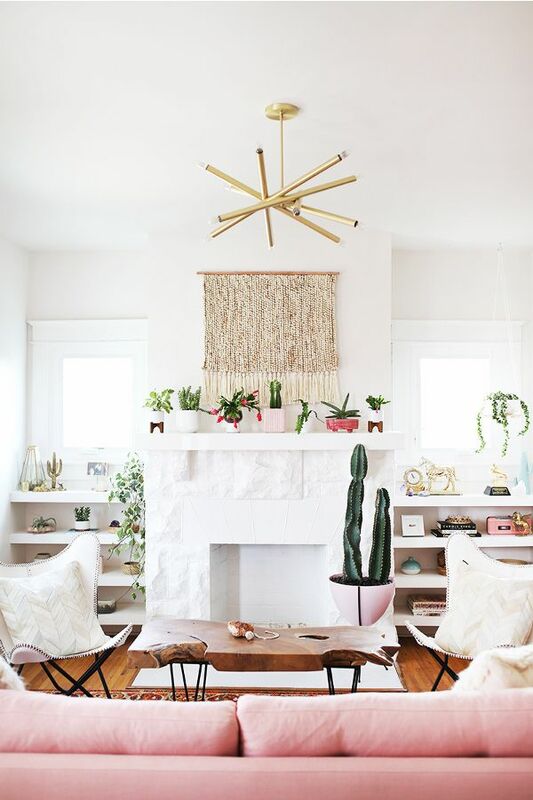 It is lined with a seamless arrangement of different cacti plants in little white and pink pots. Above the ornate centerpiece is an attractive, intricate wall embellishment in light brown shade. Two butterfly chairs cradling ivory cowhide throws sit on either side of the fireplace, centering a uniquely outlined wooden coffee table. A much bigger white pot with a tall and large cactus plant is stood on one side. The entire living room scene is set atop a classy, patterned rug covering the wooden floor, right beneath a statement lighting. Contemporary pieces and rustic accents of country living produce a beautiful juxtaposition that puts everything in place. Lots of shelving provide storage and added aesthetics in a fixture that blends in the fireplace backdrop, with more windows to maintain the homey atmosphere. 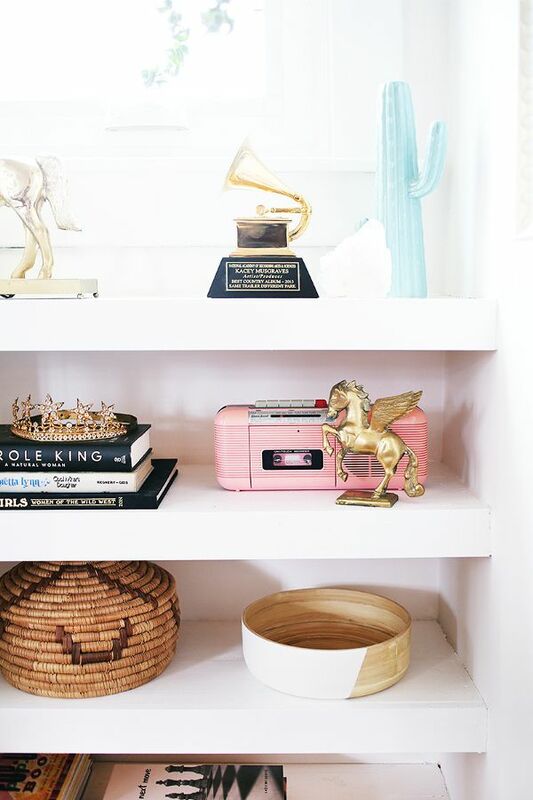 The white colored shelves hold a collection of Kacey’s personal picks and exquisite Western-style decor, like books, crafts, wooden decorations, and detailed brass and gold figurines. 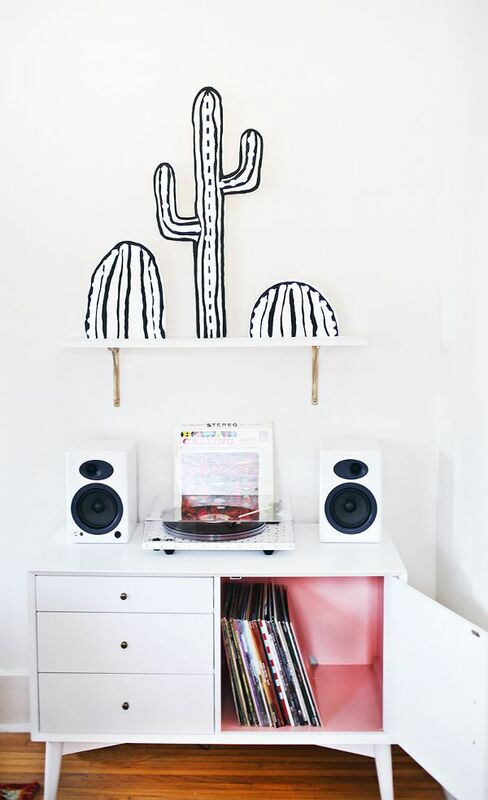 Cactus decor are seen in various presentations, from real plants in all sizes to tiny carved displays to fun wall decals. Hanging plants sprinkle green throughout the pristine space.